article was published in the Centennial Edition of the Claremore Progress June 27, 1993.
article was published in the Centennial Edition of the Claremore Progress June 27, 1993. Will Rogers’ mother, Mary America Schrimsher Rogers, died when her youngest son…the last of eight children was 10 years old. Mary’s children, by Cherokee tribal law, would be members of her Paint Clan. She was educated in the classics, music and dance at the Cherokee Female Seminary at Tahlequah, Oklahoma where she met and married Clem Rogers. They migrated to the Cooweescoowee District of the Cherokee Nation and opened a trading post at Rabs Creek on the Caney River near what would become Talala. A half dozen years later Mary and her baby were forced to flee as the Civil War raged across the Cherokee Nation and while her husband fought. Alongside Clem Rogers, Mary helped rebuild from the ruins, a frontier home and ranch that prospered and grew on the banks of the Verdigris River east of their original home site. Having lost everything in the war, Clem Rogers again established operations near Oologah, Indian Territory that grew to the 60,000-acre ranch now called the Dog Iron, running 10,000 head of longhorn cattle by the time of Will’s birth in 1879. Mary gave birth to eight children. Three died in infancy. Robert 17, died of typhoid. Three girls, Sallie, Maude and May grew to adulthood. At age 40, she gave birth to William Penn Adair Rogers, her final son that she nurtured, taught and loved. She died at the age of 50 when Will was 10 and was buried on the ranch. Later, she was interred at Chelsea. 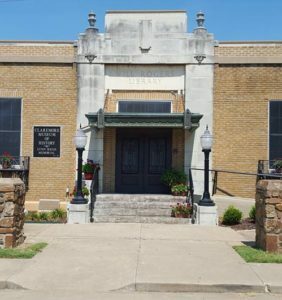 In later years, Clem was vice president of a bank he established in Claremore and became known as “Uncle Clem,” a civic leader and philanthropist. He is buried at Chelsea with his wife and six of their children. Will Rogers’ father was unhappy with his son’s life and career ambitions in the beginning, but lived to see him starring on the stage, a national hit as a trick roper, humorist and pundit. Clem died in 1911, but Will still had a quarter century to influence the course of human events. At the Palace Theatre in New York, where Will rose to prominence in the 1920s and ‘30s as a vaudeville performer and newspaper columnist, the Tony Award-winning “Will Rogers Follies-A Life in Revue” has drawn more than a million patrons over its first two years with most seats costing $65. At the peak of his career, up to 600 newspapers carried “Will Rogers Says,” a daily column still syndicated by author Bryan Sterling, who has written five books about Will. James Blake Rogers was born in New York City, July 25, 1915 while his father was starring in the Ziegfeld Follies and spent most of his life in California. As a child, Jimmy Rogers played in three of Will Rogers’ feature films. For a period, he was editor-publisher of the Beverly Hills Citizen, and then joined the Marine Corps as a World War II correspondent. Summers of his youth were spent as a working cowboy in Texas and Oklahoma. As a newlywed, he chose a career of ranching and owned a 9,000-acre spread that became Vandenberg Air Force Base, than a 13,000-acre ranch near Bakersfield. He raised beef cattle and trained horses. The family’s social life revolved around rodeos and polo. The late Mary Rogers Brooks, Betty and Will’s only daughter was an actress and world traveler who spoke several languages and lived abroad for many years. She was born in Rogers, Arkansas, May 18, 1913 while her father was touring with a vaudeville company. Under the stage name of Mary Howard, she acted in both motion pictures and on Broadway. At the time of her father’s death in the Alaskan air crash, she was in Maine, playing summer stock theatre cast in the role of a woman whose father was killed in a plane crash. Mary Rogers never returned to show business. After a short marriage to Walter Brooks II, the stepson of General Douglas MacArthur, the couple parted and Mary Rogers never remarried. For the balance of her life, she became part of the so-called “jet set” but kept in close connection with her two brothers, nieces, and nephews. Mary Rogers died December 13, 1989, in Santa Monica and was interred in the Claremore family sarcophagus.